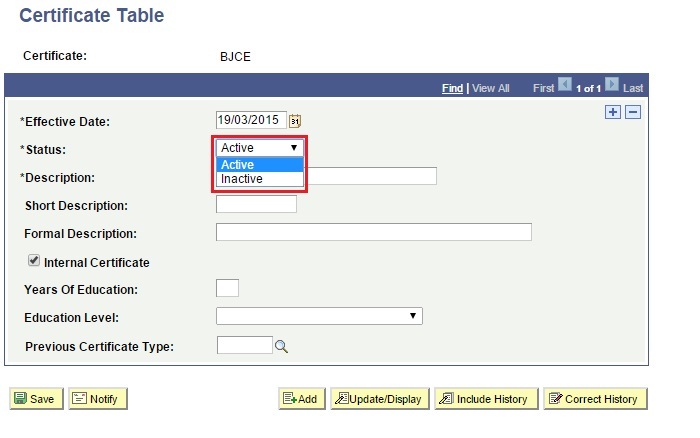 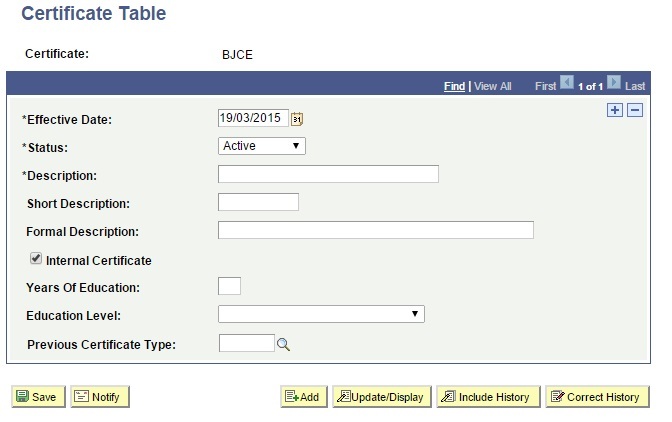 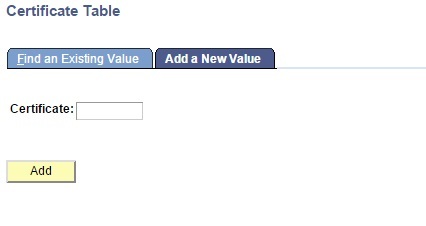 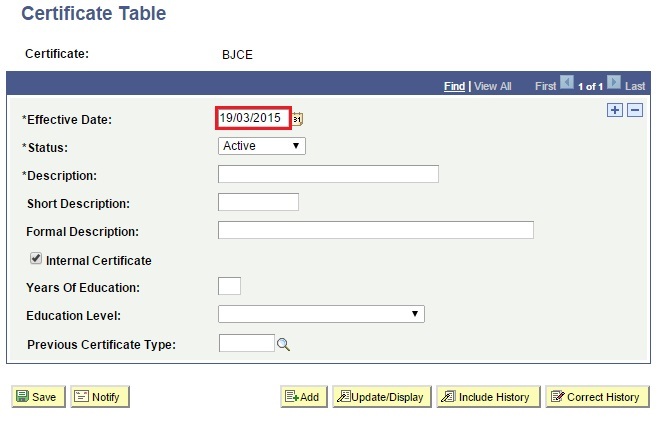 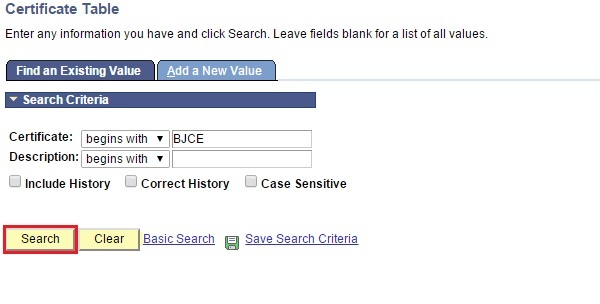 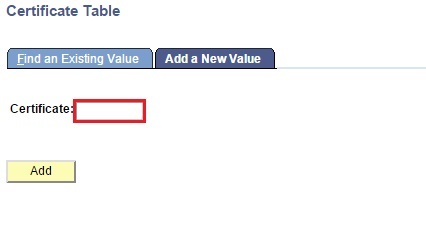 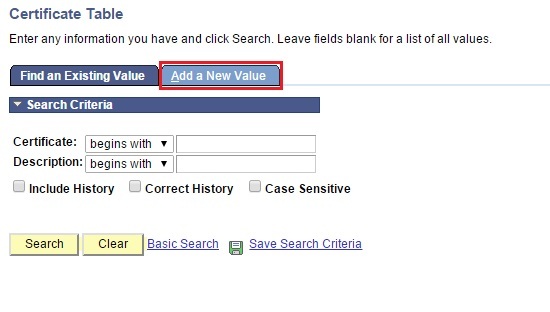 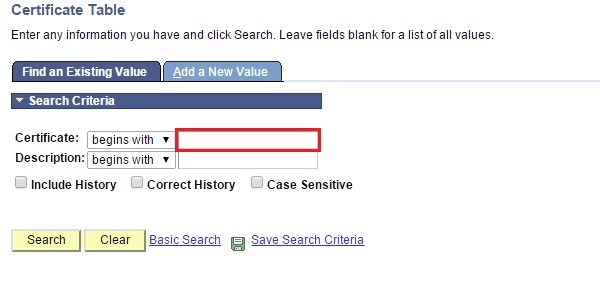 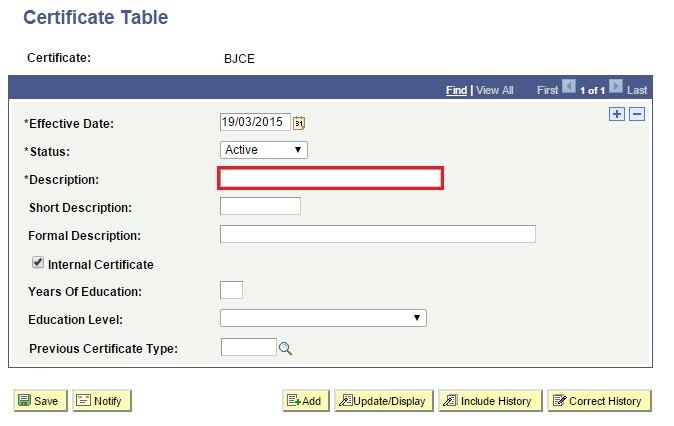 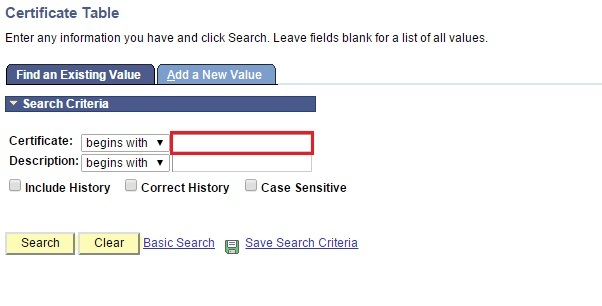 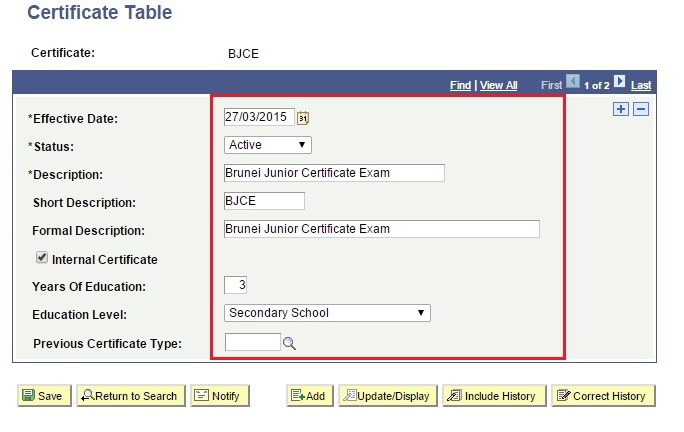 User will be directed to Certificate Table search page. 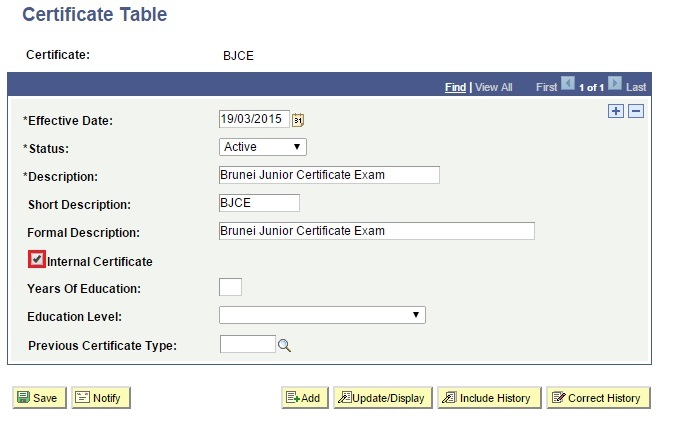 User will be directed to Certificate Table page. 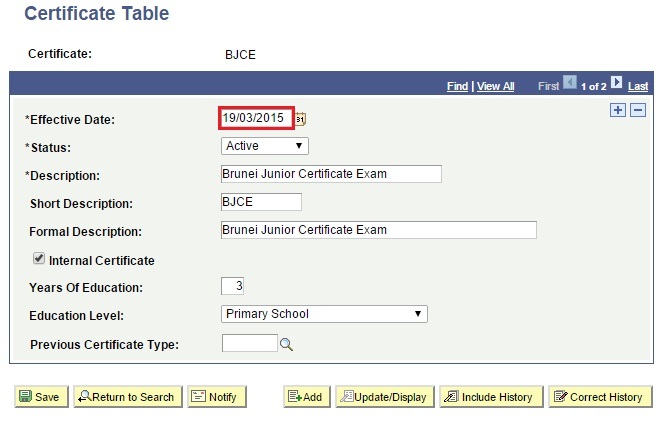 Enter the Certificate which is the acronym of the certificate. 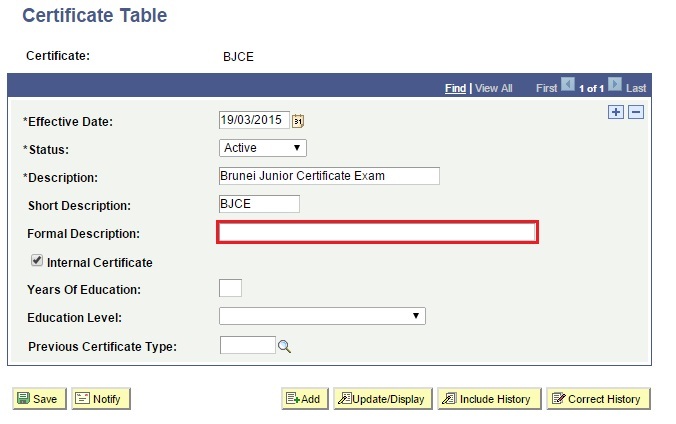 Enter the Description which is the name of the certificate. 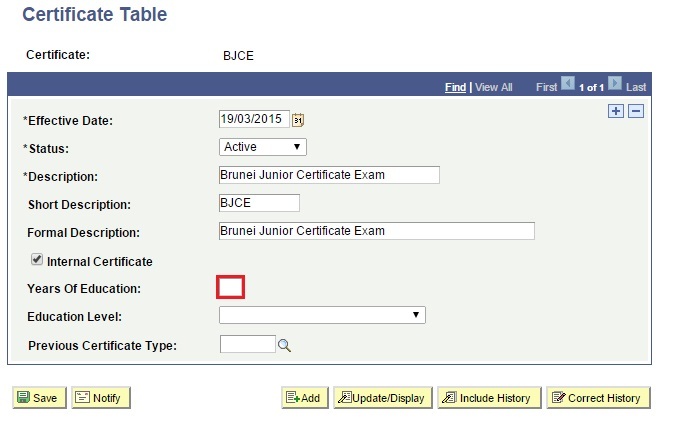 Enter the Short Description which is the short name of the certificate. 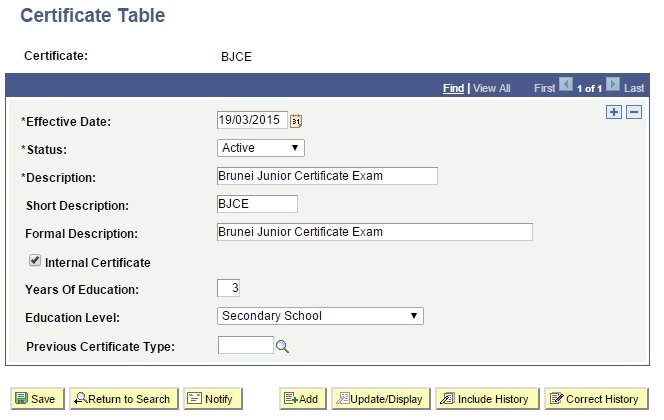 Enter the Formal Description which is the formal name of the certificate. 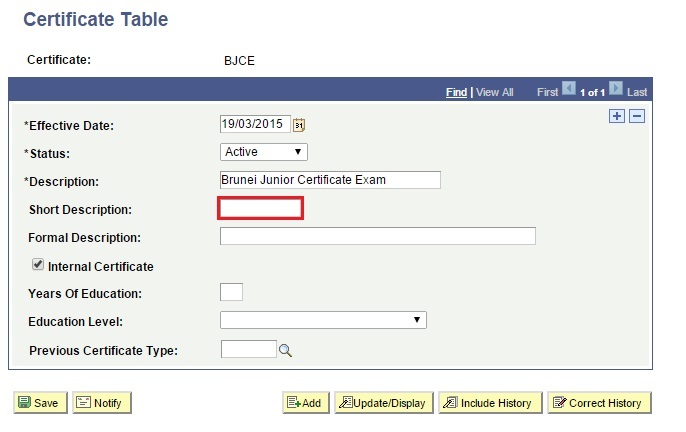 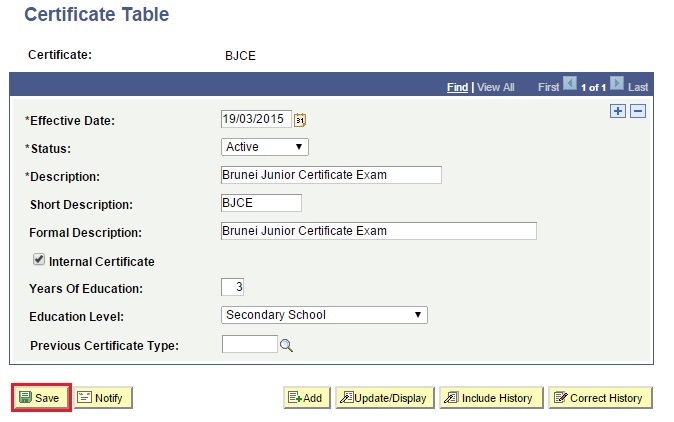 Check the Internal Certificate if certificate is given by Brunei. 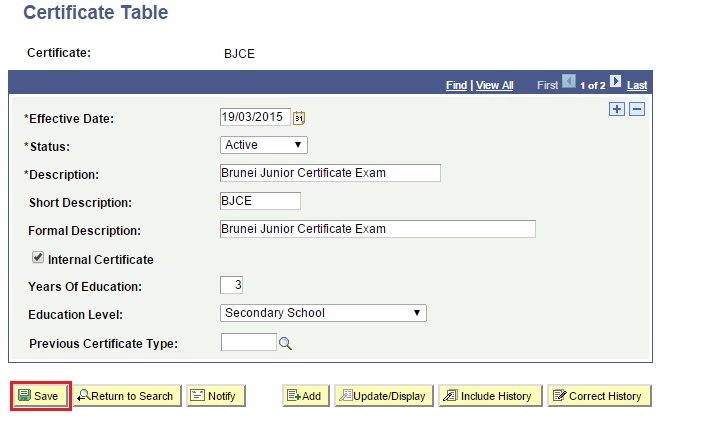 Enter the Years Of Education required to achieve the certificate. 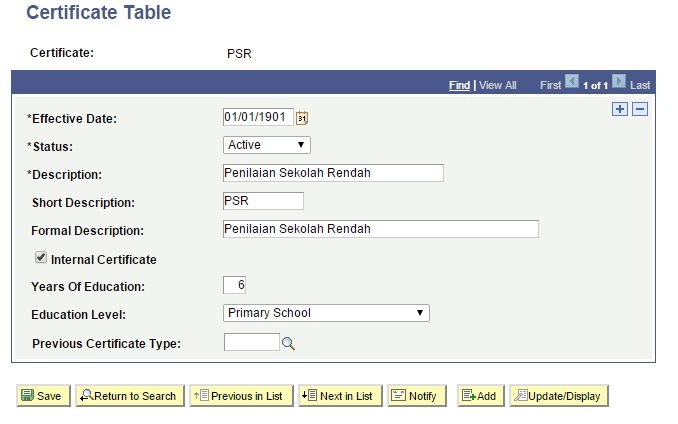 Click on the drop down menu and select the Education Level. 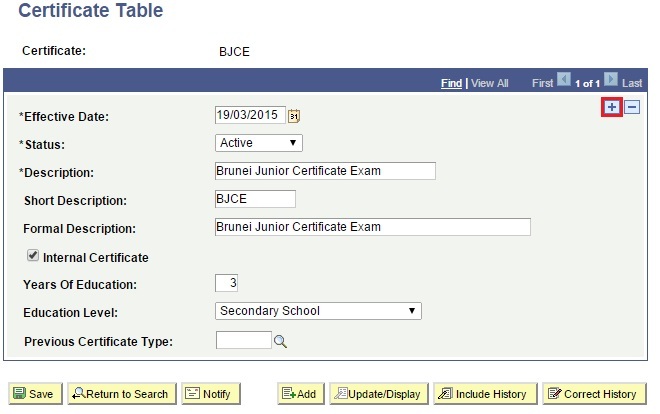 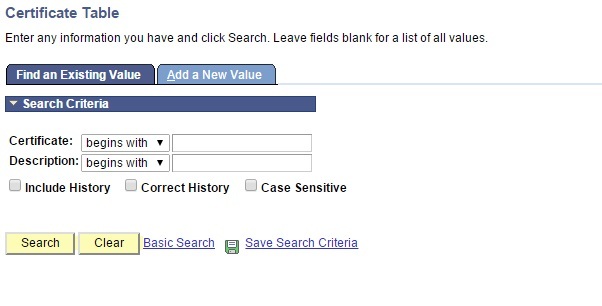 User will be directed to the Certificate Table search page. 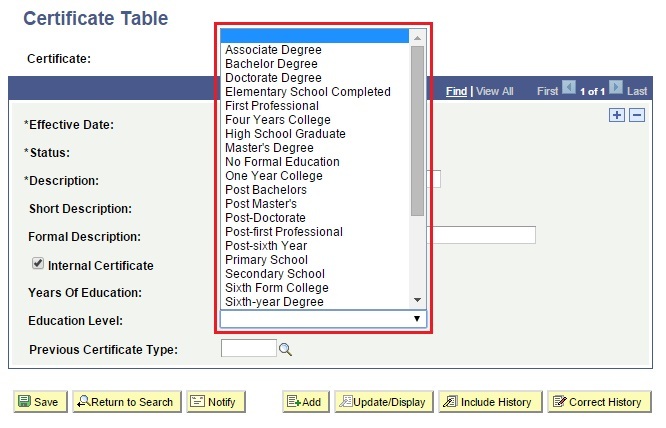 Click ‘+’ button to update the details.